Capcom didn't do a very good job keeping the full roster of Ultimate Marvel vs. Capcom 3 a secret from the gaming world when they announced the first four of twelve new characters back at San Diego Comic Con. 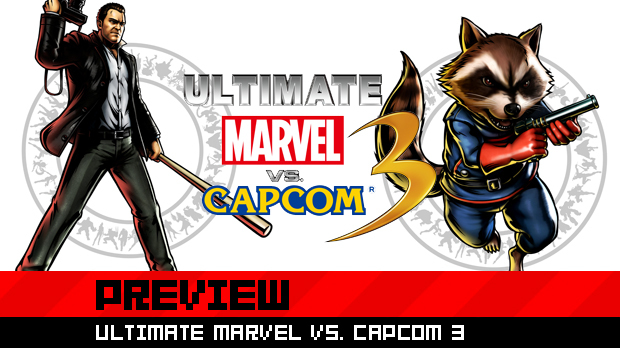 For the sake of today's reveal though, let's pretend that we never saw that and revel in the fact that Dead Rising's Frank West and Marvel's Rocket Raccoon are now officially part of UMvC3's cast of warriors. I got a chance to give the drunken photographer and furry guardian of the galaxy -- as well as most of the new cast of UMvC3 -- a go at a Capcom press event last week and I have to say both these unconventional fighters suit the game quite well. 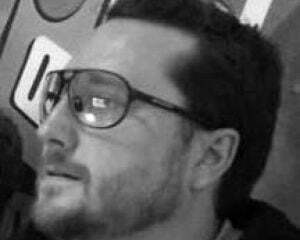 As Capcom's Seth Killian put it best, Rocket Raccoon is "f*cking annoying." Like a real life raccoon that is digging through your garbage cans in the middle of the night, this nocturnal mammal is all about getting in close and crossing up your opponent. He's quick, small, can hover and has myriad traps at his disposal that make him well prepared for most situations. Rocket Raccoon's rocket skates are perhaps the best air dash in the game. Using this move will let him, on smaller characters, dash in fast and then move behind for a quick mix up. His bear claw trap -- known as the flapper -- is great for off-the-ground attacks and can be paired with his giant pendulum swing attack for a quick wall bounce. Perhaps my favorite of his moves is his teleport, which is great for a quick hop in front or behind and enemy and if done with the heavy attack actually has the little booger burrow under the ground, making him invulnerable for a ridiculous amount of time. Frank West is up there with Phoenix Wright when it comes to having layers of moves. Key to making the Dead Rising superstar a powerhouse is the use of his photography. At the onset of a round Frank starts at level one, with a limited move set. For example: quarter circle forward followed by strong attack has him unleashing a powerful baseball bat swing. Leveling up Frank with his photography opens up new moves -- such as a roundhouse kick and Captain America style flip -- and powers up his previous attacks like the bat, which transforms into a flaming spike infused bludgeoning stick. Frank can also drink to help power up his photography potency. Normally it takes three photos to level up, with level four being the highest, but consuming the bottle gives the action journalist a triple shot. Drinking too much does have its side effects -- as it should -- causing him to puke his guts out and thus be left open for a quick beat down. Frank's photography also has one other useful property: it can pull opponents off the ground and be super cancelled. While these two new characters were the main focus for the preview event, I did want to touch on my two favorite additions to UmvC3: Phoenix Wright and Vergil from Devil May Cry. The reasons I have fallen for both the characters are at the opposite end of the spectrum, but both were incredibly fun to play. Vergil, hands down, is my new go-to character. He's faster than Dante and has fantastic range, mix-ups, and off-the-ground abilities. First off his forward strong attack's range takes up almost half the screen. 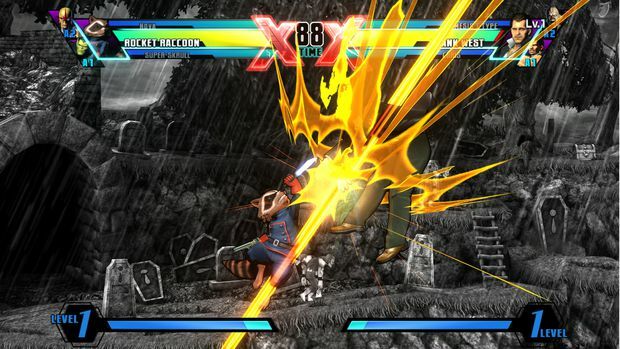 This move followed by a launcher leads to surprisingly fast air combo beat downs. 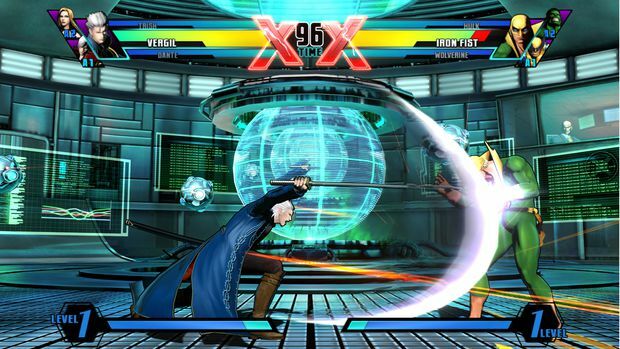 Vergil's teleport is also extremely useful for mixing up opponents with its frontal, behind, and over the head positioning. There is one super that has him emit swords around his body (similar to Strider's discs) and when paired with the behind teleport it can lead to a very lethal cross-up combination. 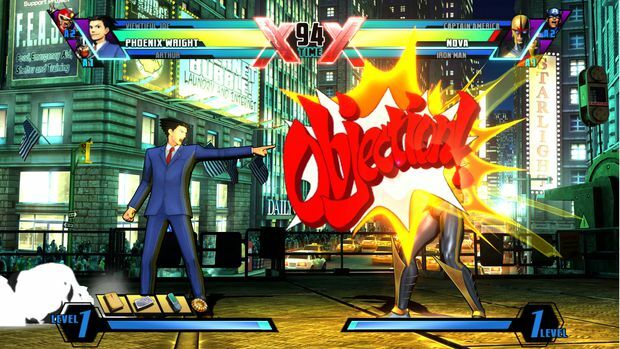 Now Phoenix Wright on the other hand is a favorite only for how insane his move set is. He's basically useless until he gathers enough evidence during a match. As you search for three successful clues -- denoted with a bright yellow folder -- his attacks are almost nonexistent. Once gathered pressing down-down-special launches Phoenix into courtroom mode. From here, hitting your opponent with an objection turns the clumsy lawyer into a beast -- albeit for a limited time. His giant finger attack can easily juggle opponents in the corner and he can also shoot off different beam attacks with his collected evidence. And if you can land a level three super, which does a ludicrous 6,00 points of damage, kiss your foe goodbye. Ultimate Marvel vs. Capcom 3 is just two weeks away and I for one am getting pretty excited. I know some may feel burnt that Capcom is updating this game already. But at a measly $40, the 12 new characters, Galactus mode, and post launch free Heroes and Heralds mode -- which is bringing over a hundred cameo characters with new art -- should offer fans plenty of worthy action. Now if only this wasn't a supposed Capcom troll.